Who would have guessed there are actual hills in Beverly Hills? Add to that there’s even a lake ‘up in dem der’ hills’ – no kidding! 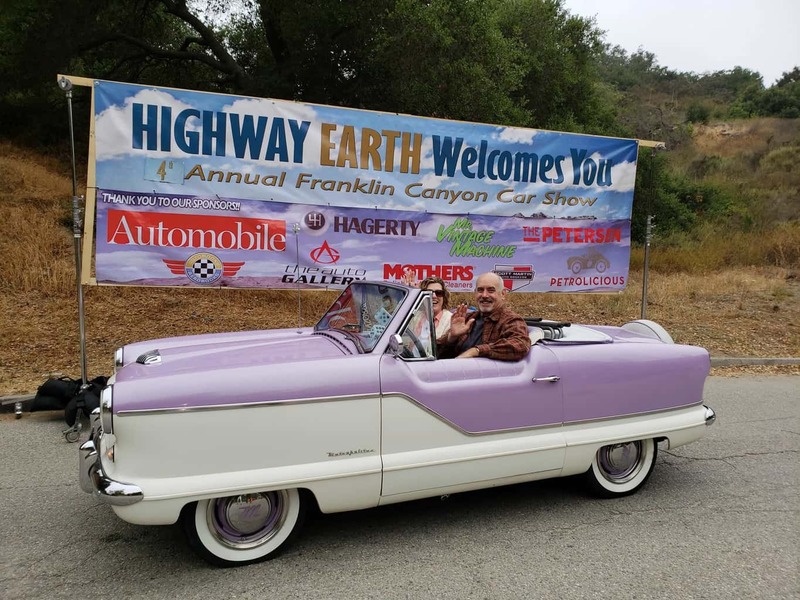 For iDSC’s final installment of The Professor’s Awesome Auto Show June we’re heading on up to The 5th Annual Highway Earth Car Show. If you’ve never attended this show it’s car-lover-must-see, and definitely, one to add to your list. 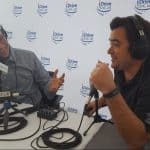 Hear the details of the show and its picturesque location in this episode of the iDriveSoCal Podcast. 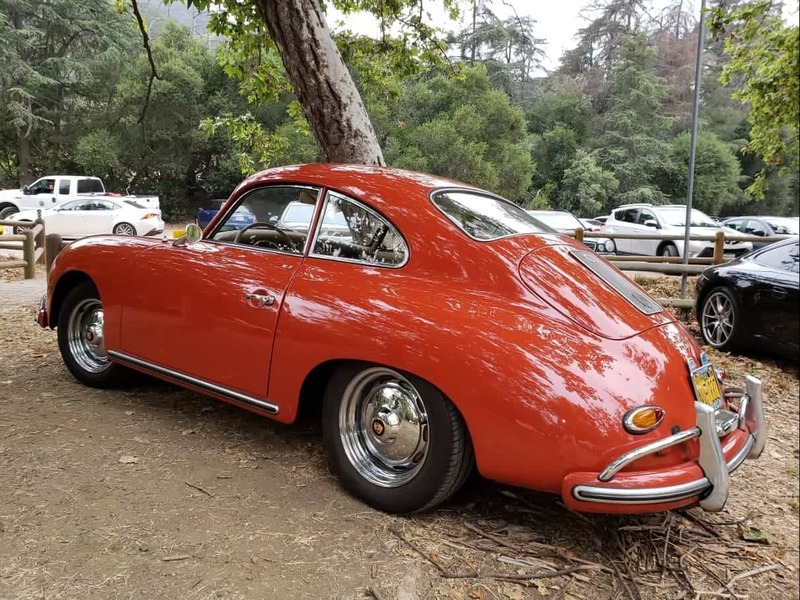 Clinton Quan: This is the fifth year for the Highway Earth Car Show, which takes place in Beverly Hills, up in the mountains at Franklin Canyon Park. There’s a beautiful lake up there, and the cars surround the lake. 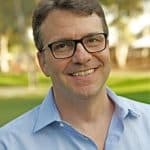 Tom Smith: Welcome to iDriveSoCal, the podcast all about mobility, from the automotive capital of the United States, Southern California. Tom Smith here along with the good Professor, Mr. Clinton Quan. Say hello, Clinton. Tom Smith: Hey, hey, hey. Back again. Today, we are talking, a continuation of our talk of the Professor’s Awesome Auto Show June. 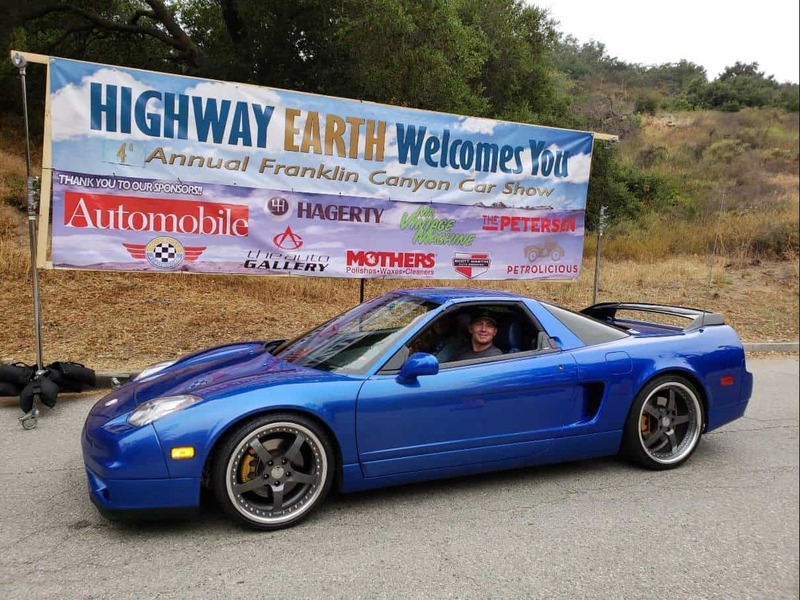 And this past weekend, the Professor went to the Highway Earth Car Show, which is relatively new in terms of car shows. I guess it’s the fifth annual. And the Professor is going to fill us all in about it. 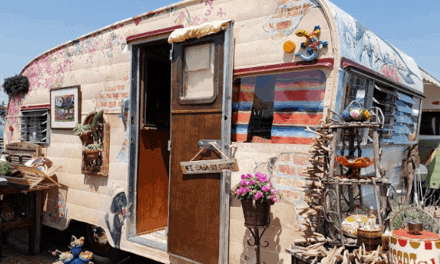 But my first time that I heard Highway Earth Car Show, I thought, okay, this is going to be our granola stand for concessions along with Priuses, and Leafs, and maybe some Teslas, but all things green as it pertains to vehicles. But that’s not the case. The name does not… Highway Earth does not actually indicate that, does it? Clinton Quan: Well, this is a fairly new car show, as you mentioned. 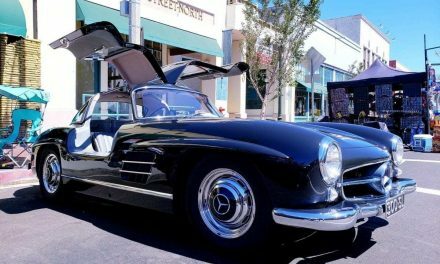 This is the fifth year for the Highway Earth Car Show, which takes place in Beverly Hills, up in the mountains at Franklin Canyon Park. There’s a beautiful lake up there, and the cars surround the lake. Tom Smith: That’s still technically Beverly Hills up there. Clinton Quan: Yes, it is technically Beverly Hills, and most people don’t know that. I actually looked it up, and the address is in Beverly Hills. Tom Smith: Is it the … What was the TV show, Beverly Hills 90210? Tom Smith: Is it that zip code by chance? Clinton Quan: I don’t think so. Tom Smith: Totally doesn’t matter. Clinton Quan: I would be surprised if it is. Tom Smith: I don’t want a slide off topic, anyway. Clinton Quan: The founder of the car show, his name is Evan Klein. He is a well-known automotive photographer. He photographs for Automobile Magazine and Road & Track Magazine. Clinton Quan: So, he started this car show because he has a true passion for cars. Tom Smith: Right, right. I like that picture of the Nash. Clinton Quan: … with a couple in it. Yes. So, this is a car show for everyone, and it’s free to spectators as well, and it takes place the first weekend … Officially, the first weekend of summer every year. Tom Smith: All right. So, you got the summer solstice out in Stonehenge in the UK. And then, you cross the pond, come over here for the Highway Earth Car Show up in the hills of Beverly. Tom Smith: All right. Excellent. And you mentioned earlier that it’s not a Concours, but there was some judging and awards being handed out. Tom Smith: Okay. And categorically speaking, it’s across the board. The Hills in Beverly – A Lake too! Clinton Quan: Yeah. They don’t have like different classes of vehicles like you would have in a Concours, but they have all different varieties and categories of awards. I wasn’t able to stay for the awards ceremony this year. Tom Smith: Because you had other automotive things to get to during the weekend being the Professor. Clinton Quan: Well, that was day before. Tom Smith: Okay. So, the Highway Earth Car Show. So, why is it called Highway Earth? Professor Quan strikes a lakefront pose! Clinton Quan: Well, I think that the founder, he really wanted to merge the beauty of cars and the beauty of nature together. And that’s why it’s set in this beautiful setting up in the hills of Beverly Hills at Franklin Canyon Park. I remember I think, it was just a couple of years ago, I took this gorgeous photo of a British Roadster right in front of the lake. And the setting, it’s just so beautiful. When you look at the photo, it almost looks like it’s not even… It’s hard to imagine it’s even real because it’s just so amazing. Tom Smith: So, not only are those hills still Beverly Hills, perhaps where Beverly Hills got their name because if you go to Beverly Hills, it’s like you know it is Beverly Hills but it really doesn’t occur to you like, “Oh, but where are the hills?” But then, the other thing is there is a lake up there too. Tom Smith: Did not know that either. Clinton Quan: Yeah, a lot of people don’t know that. Yeah. Tom Smith: But it’s free to the public. Clinton Quan: Yes, it’s free to the public. Tom Smith: And it’s judged competition, whatever. So, I guess, the whole bill must be picked up by sponsors. Clinton Quan: Yes, there are a number of sponsors in this car show. I believe the Petersen, Haggerty. Tom Smith: As in the museum? Clinton Quan: Yes, the Petersen Automotive Museum, Automobile Magazine, TRACK. Tom Smith: Well, a lot of the regulars that would get behind a car show such as this. Tom Smith: All right. Okay. Excellent. What else? And free to the public? Tom Smith: Boy. So, I think you mentioned this before, and it just occurred to me that’s your two in a row Beverly Hills weekends-. Tom Smith: …of car shows. 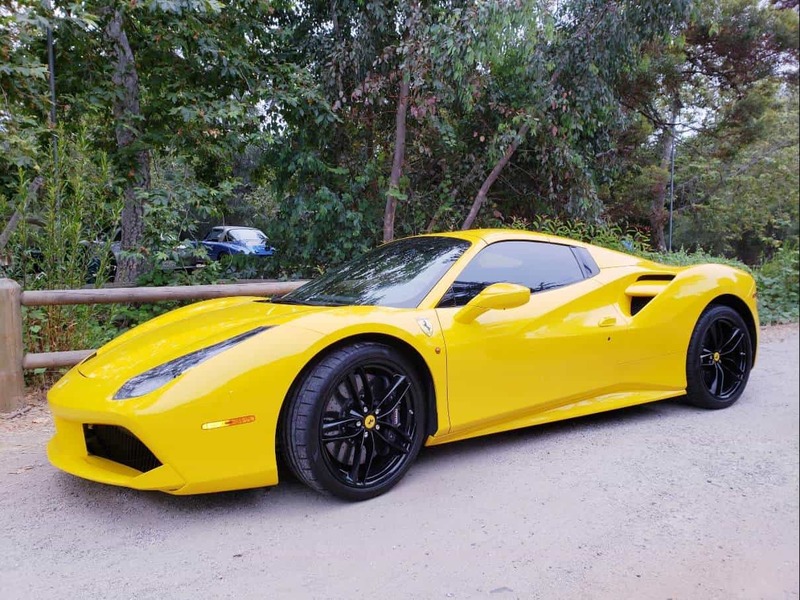 Clinton Quan: Last weekend was the Rodeo Drive Concours. And this weekend, this past weekend, the Highway Earth Car Show. As you drive towards the entrance of the car show, you can see quite an eclectic mix of vehicles. I saw the first generation Acura NSX, the previous generation Ford GT. And an old Shelby GT Mustang. Plus I saw a Nash Metropolitan. So, it’s a really eclectic mix of vehicles. There’s also a Porsche Corral at the front. 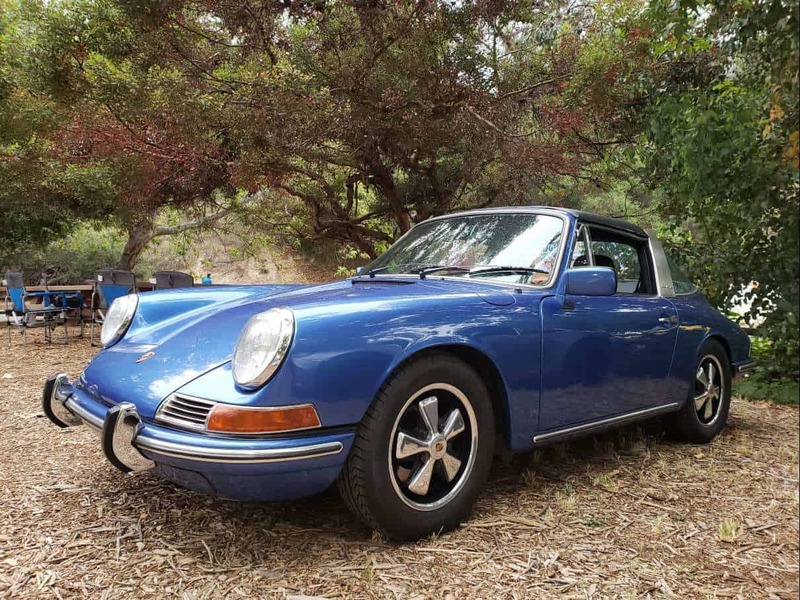 Tom Smith: A Porsche Corral? Clinton Quan: Yeah, a huge Porsche Corral. Tom Smith: Instead of horses, we’ve got Porsches in there. Clinton Quan: And everything from classic Porches to modern Porsches. Clinton Quan: So, you’re really getting a very, very eclectic mix of automobiles, but they all share one thing in common, a real passion for automobiles. Tom Smith: Okay. And it’s the fifth annual. So, it sounds like this one was well attended and will go on for for quite some time, especially if they have sponsor money behind it. Clinton Quan: Yes, it’s getting a lot of publicity now. It’s a pretty well-known car show. And just driving in there was so much traffic getting in there because it’s a narrow road. And they’ve got one line of cars for all the entrants, and then there’s another line of cars for everyone attending the car show. Tom Smith: A little bit of a car show just getting in. Clinton Quan: Yes. There was quite … You could say that, yeah. Clinton Quan: It’s a car show in itself just getting into it. Tom Smith: Kind of like going to a concert with a bunch of different bands playing on the road on the way in. Tom Smith: So, guesstimated attendance for this one, do you know. Cinton Quan: I don’t know the numbers for this one. I have no idea. Tom Smith: Okay. Well, what else about the Highway Earth Car Show up there in the hills of Beverly? Tom Smith: The Professor’s Awesome Auto Show June? Tom Smith: Before it gets too hot. Clinton Quan: Yeah, before it gets too hot. It starts early at 9:00. It runs until early afternoon, 2:00. And it’s a great place to just take a walk as well, enjoy nature. And that’s why it’s called Highway Earth. 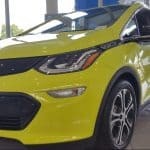 Tom Smith: And is it the nature and car component that makes it rank so high, and actually make the Professor’s top Awesome Auto Show June list? Because there’s a lot going on, not only in June, but other times, but there’s a lot going on in June, for sure. Tom Smith: You’re not cornered into just-. Tom Smith: This, or that, or … It’s everything. Clinton Quan: It’s everything. And there’s not a lot of other car shows that have a setting quite like this. Most of them are if it’s a Concours, it’s at a golf course, or it may take place on a public street. So, this is a completely different environment. Clinton Quan: That’s a good question. I would imagine it’s either state-owned or it’s owned by the City of Beverly Hills. Clinton Quan: But they do a great job of staging the vehicles around the lake, and then, in all the open areas where they can they can park more additional vehicles for the car show. Clinton Quan: Yeah, it is definitely worth checking out. Tom Smith: I didn’t really know that Beverly Hills stretched into a hilly area, in fact. Certainly didn’t know that there was a lake up there. Clinton Quan: And also, it’s been the scene for a number of movies or television shows as well. Tom Smith: Oh yeah. That’s what you … What were those again? You rattled some of those off earlier. Do you remember any of them? Clinton Quan: I rattled off so many, I’m blanking out right now. Tom Smith: Okay. All right. Anyway, a beautiful setting for a beautiful automotive show. That’s the Highway Earth Car Show. Clinton Quan: Yeah, definitely a gorgeous setting. Tom Smith: Always in June, always the first weekend of summer. Clinton Quan: First weekend of summer, yeah. Tom Smith: If that’s factual, I can say that always. I don’t need to take it back. 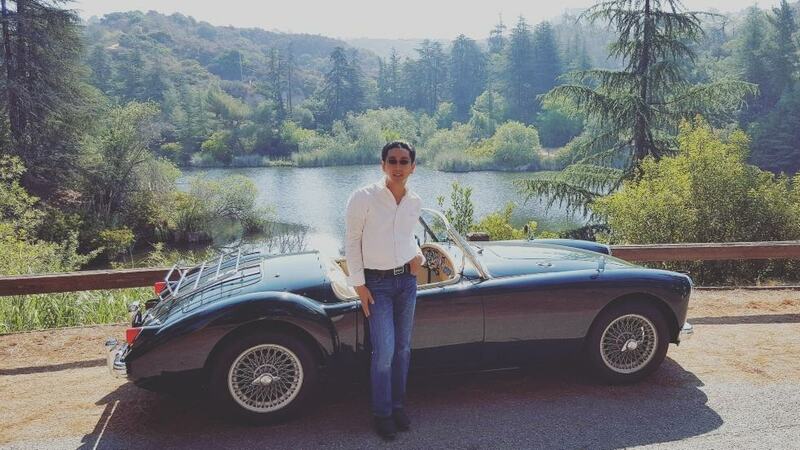 Clinton Quan: I am 99% sure of that, because it’s always the following weekend after the Rodeo Drive Concours. Tom Smith: You have heard it here first. Tom Smith: You heard it here, folks. You heard it here first, folks. We’re pretty sure! Tom Smith: Well, a lot of times, the car shows, they do change the dates. Clinton Quan: Yeah. Just like the Benedict Castle Concours, they changed the dates. Tom Smith: Mixed it up a little a bit. Tom Smith: Got it, got it. Tom Smith: So, nevertheless, the Highway Earth Car Show all round about this time, the first weekend of summer, and a great show to attend. Beautiful time to be out there with nature before it gets too hot in the hills that are Beverly around the lake that you probably didn’t know was up there. And we will be sure to have this event on the iDriveSoCal events page for many years to come unless the Professor has anything else to offer on the Highway Earth Car Show. Clinton Quan: I think we’ve we’ve covered everything. Tom Smith: And it’s a free one. So, there you have it. Clinton Quan: Yeah, free car show. Tom Smith: Okay, everybody. Professor, thank you so much. 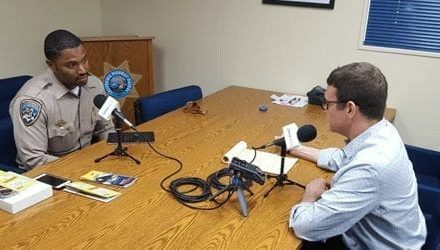 Tom Smith: Thank you for listening for iDriveSoCal. I am Tom Smith. We’ll talk to you soon.